From the minute you walk into the MooreEyes office in Sparta, it feels cozy and warm. 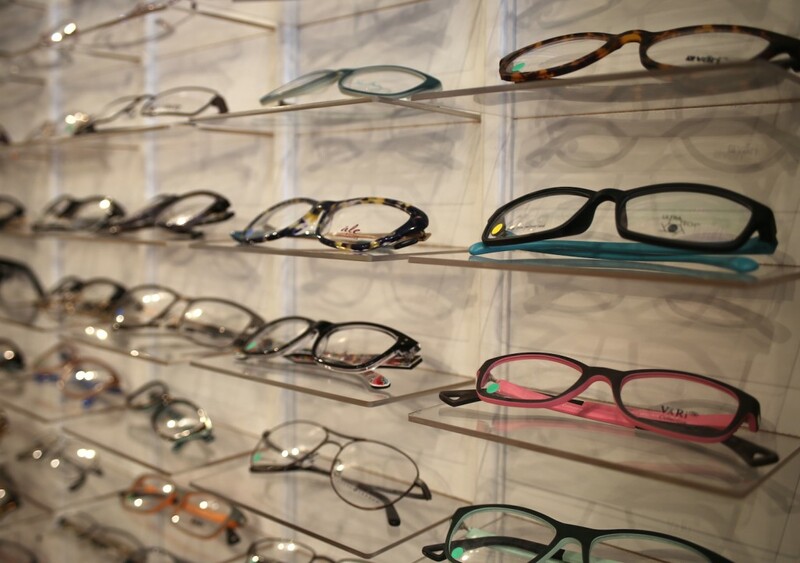 Butter yellow walls, molding, neat cases full of eyeglasses, and kind faces inquiring what you might need. Shannon Shelley – owner and head doctor. 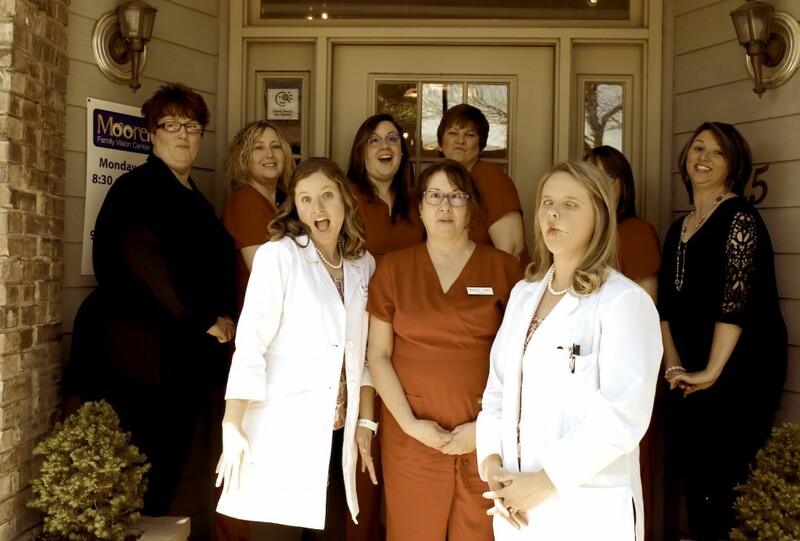 We’re a full service family optometry practice. We see patients starting at 6 months old, all the way up to the elderly. Along with the standard eye exams and fittings, Dr. Kirk and I are very interested in the medical side of things for a full scope practice. 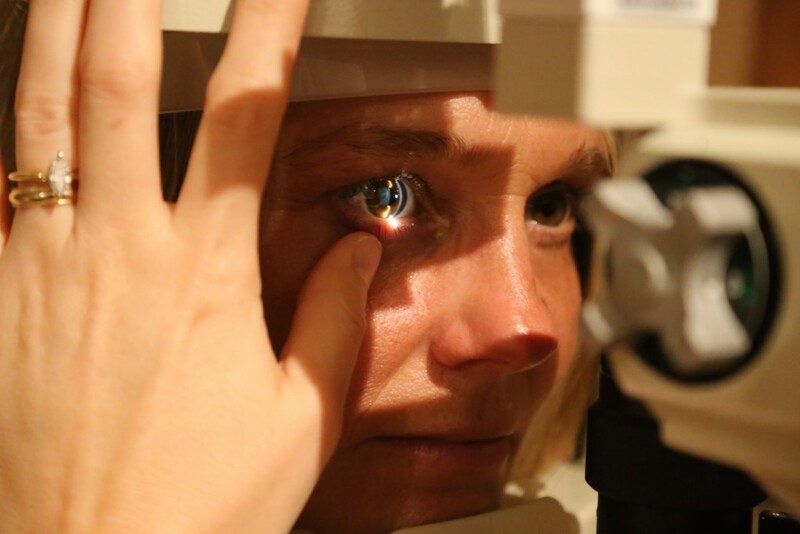 We examine patients to prevent and treat things like glaucoma, macular degeneration, diabetes, and foreign objects in the eye. Foreign objects? Can you elaborate? Yes – we have lots of industrial workers in this area and it’s common for someone to get metal in their eye that needs to be removed. One time a guy came in and he had a nail bounce off of his eye and not go through it. You’d be surprised how tough the eyeball is. 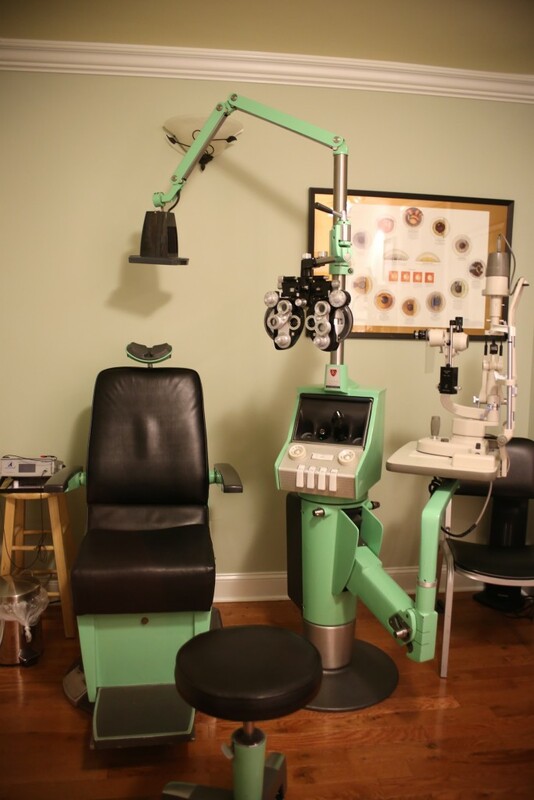 Why did you decide to be an eye doctor? I knew in the 10th grade – I guess you could say it’s a calling. I’m really interested in foreign mission work and providing eye care overseas. Have you been on any overseas mission trips? I’ve been to Honduras twice and Costa Rica once. The first time I went I was a student and helped pull teeth. I knew I didn’t want to be a dentist after that! I also assisted the eye doctor with fitting glasses, checking eye pressure. Lots of patients have untreated glaucoma. It’s easy to catch but they don’t have treatment so many go blind. It’s cool to be able to preserve someone’s eyesight. How did the trips affect you? The first time I went it changed everything. I realized how fortunate we are here. I had never seen poverty like that. Even being so poor, the people were happy with what they had. It makes me more grateful for what I have and makes me love my job even more. We’ve recently done a RAM (remote area medical) clinic locally to help people with medical care. It’s amazing how much need we have in our own community. People come from everywhere and some sleep in their cars. It might be the only healthcare they will get the entire year. 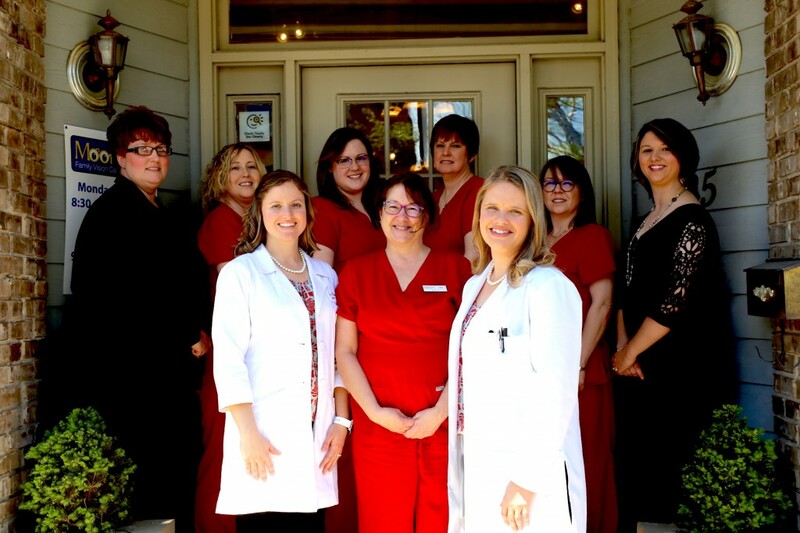 How did you come to purchase the practice from Dr. Moore? My husband was moved to Cookeville to be a pastor and I wanted to be in the area. I found an ad looking for a doctor and came to work at MooreEyes in 2008. Dr. Moore’s daughter, Amy, was ready to sell the practice after his passing, so I bought the practice that year. 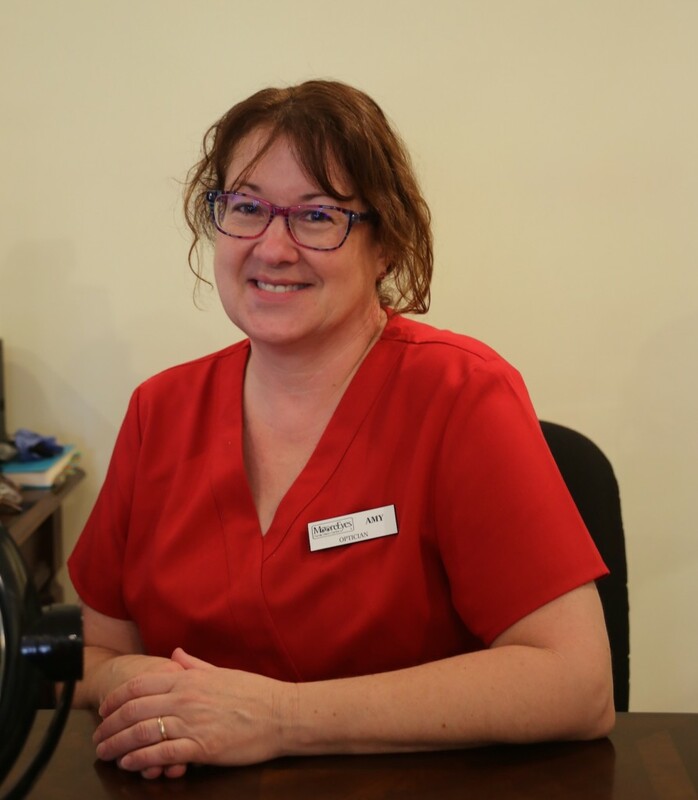 Amy is still the head optician here; she’s been here for 40 years. 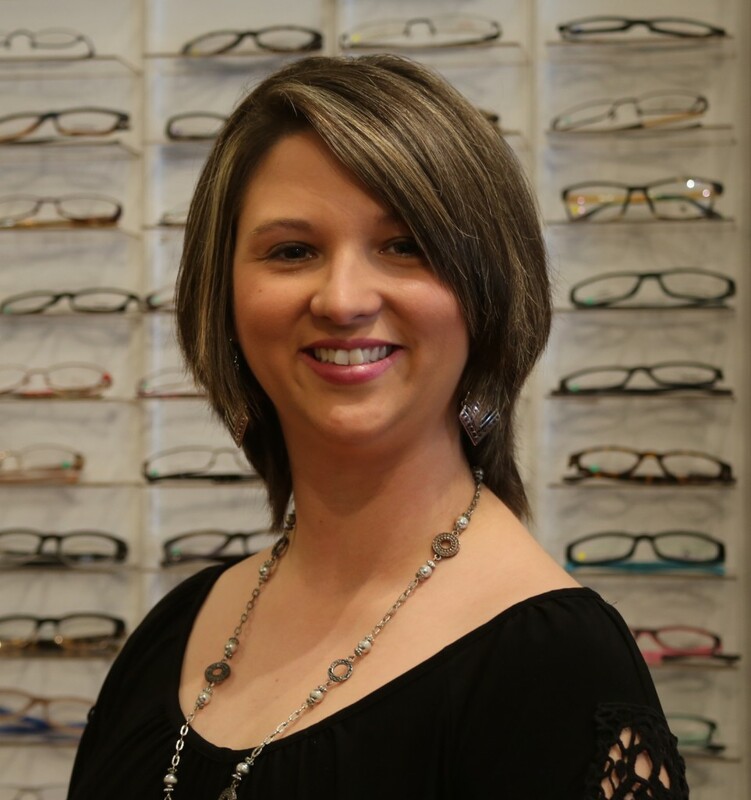 She has been the heart of MooreEyes; if you ask someone about the practice, Amy Johnson is the one they think of. She’s the kindest, sweetest lady in the whole world. How do you and Dr. Kirk know each other? 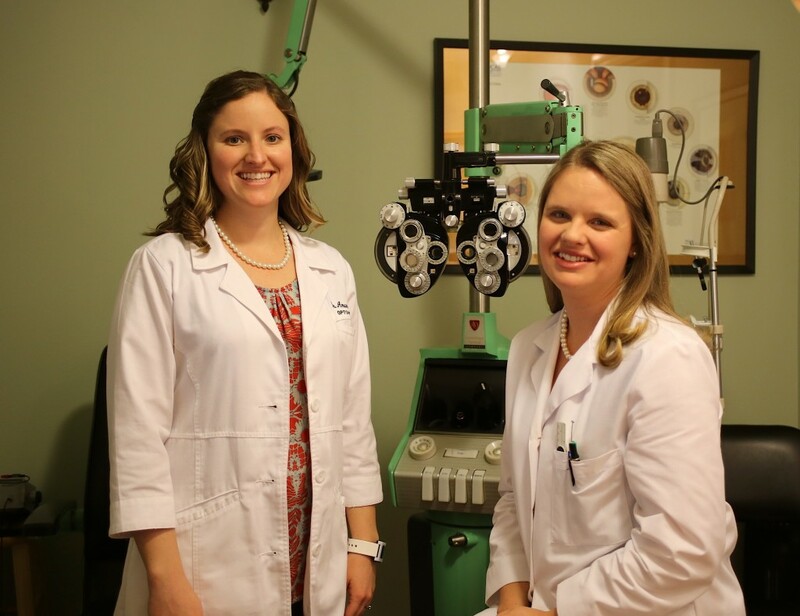 We went to school together at the Southern College of Optometry in Memphis. We always joked in school that we wanted to do something together and it worked out great! When/why did you start the Monterey office? 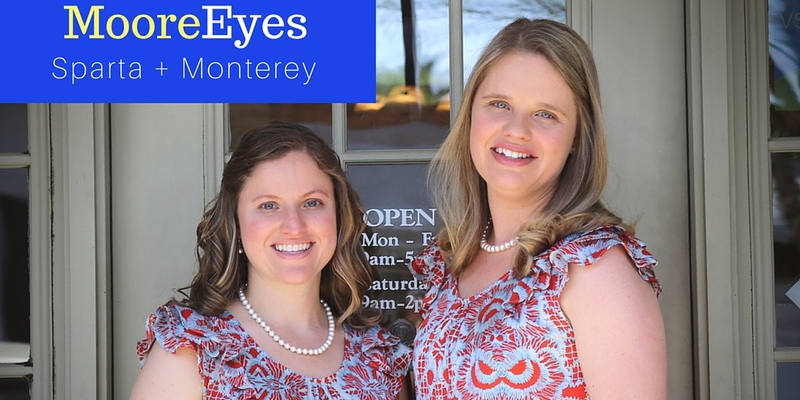 We opened the Monterey office five years ago because we loved the people and saw that it was a small town with no eye care. We wanted to provide a quality service to the people and we wanted elderly patients to be able to travel a shorter distance to get what they need. 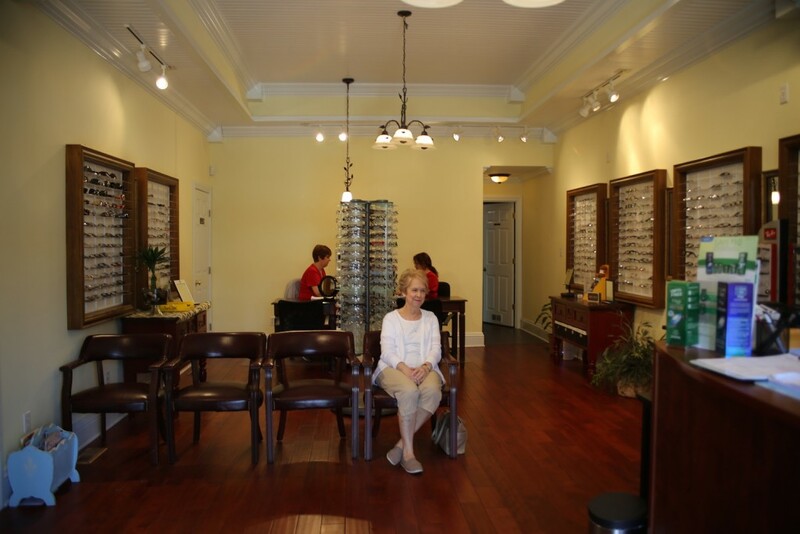 What sets you apart from other optometrist offices? Dr. Kirk and I are very meticulous about eye care. 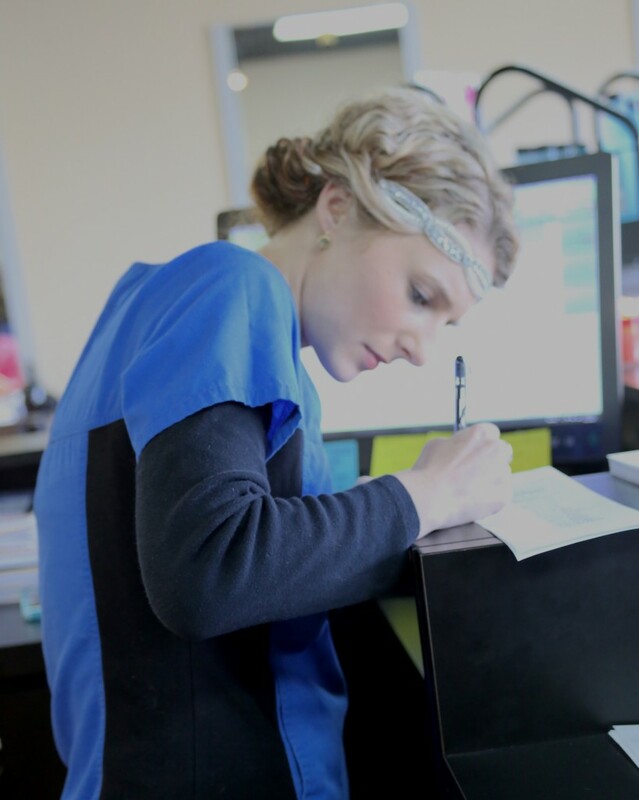 We’re really focused on educating our patients and answering all of their questions. Quality, patience, and a family-centered atmosphere are very important to us. We want to run a practice that we would send ourselves and our families to for care. 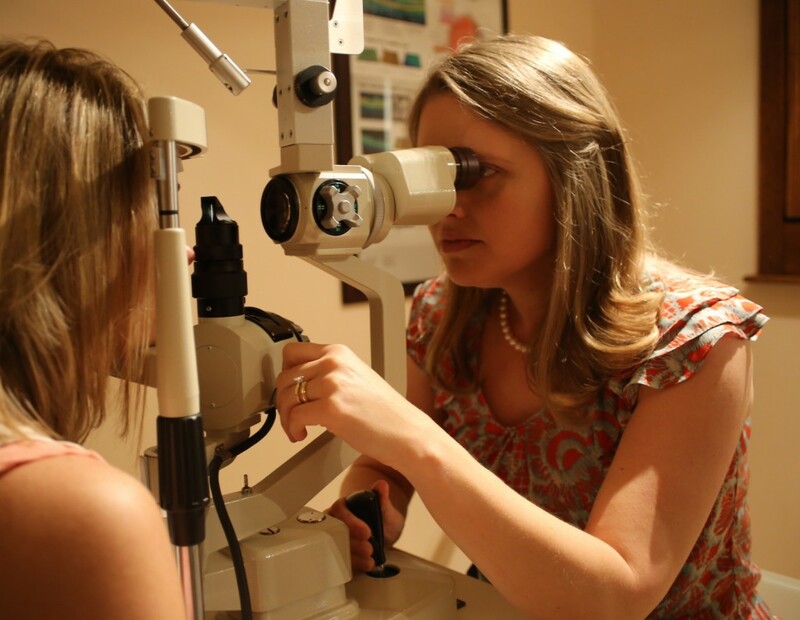 Dr. Kirk is also residency-trained in low vision – she’s the only doctor in our area with that expertise. 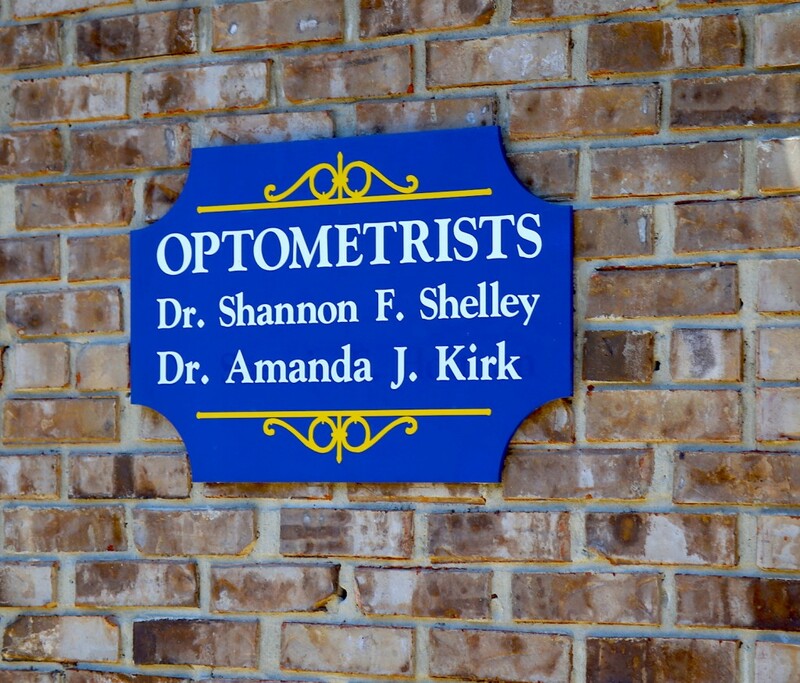 Dr. Kirk, why did you become an eye doctor? I’ve always liked science and the medical field. I was at TTU looking for direction and began researching different fields. Optometry seemed boring, but I found the school website and it just spoke to me. I felt like it’s what I was supposed to do. I’ve been able to help people, be independent, and have a career. It’s just right for me and I love it; I’ve never second-guessed it. Dr. Moore started this practice 60 years ago and we’re trying to continue what he started. He was such a kind person and was always learning, always wanting to improve himself. It feels like God has just said “this is the way it will be” with this practice and it really feels like He has been tending to us the whole time…we’ve been having fun with it! Thank you so much ladies, for sharing so much about yourselves and your practice. Keep those eyeballs healthy! 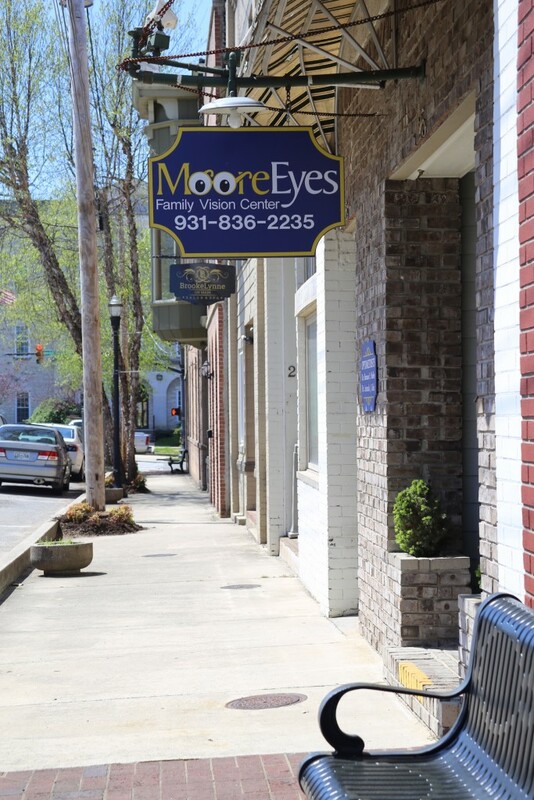 MooreEyes Sparta is located at 25 N Main St in Sparta and their phone number is 931-836-2235. They are open Mon – Fri, 8:30 am – 5:00 pm and Saturdays by appointment only. MooreEyes Monterey is located at 209 E Commercial Avenue in Monterey and their phone number is 931-839-3837. You can also find more information on their website. For our readers, MooreEyes is sponsoring a giveaway – two brand new pairs of Ray-Ban sunglasses!! One reader from Monterey and one reader from Sparta will be chosen. Head over to our Facebook page and look for the MooreEyes Customer Highlight to enter! The contest will run from Wed, May 04 – Wed, May 11, 2016. The winners will be announced on Thurs, May 12, 2016. No purchase necessary to win. Purchase does not increase chances of winning. You must be 18 years of age or older to enter. By entering this contest, you completely release Facebook, Roland Digital Media, and MooreEyes Family Vision Center from all claims or actions relating to or arising from the same. You also acknowledge that this contest is in no way sponsored, endorsed, administered by or associated with Facebook. 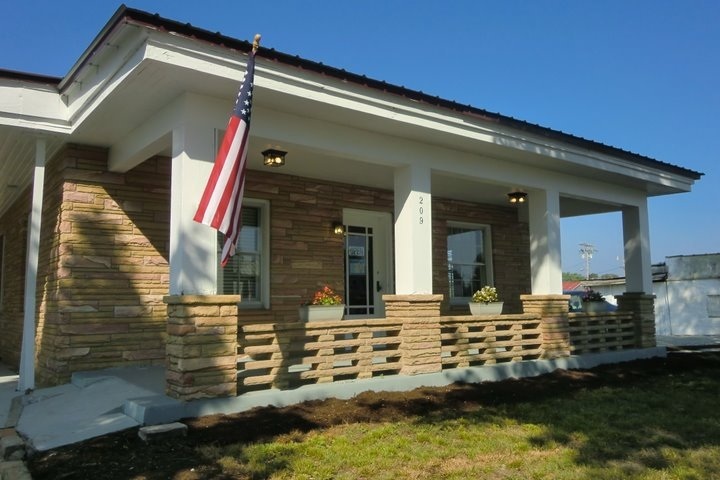 Winners must live in Monterey, TN or Sparta, TN or in a surrounding area in the same county. Winners are chosen at random and will be contacted via Facebook. If winner(s) cannot be contacted, is ineligible, or fails to claim the prize within 5 days from the time award notification was sent, the prize may be forfeited and an alternate winner selected. 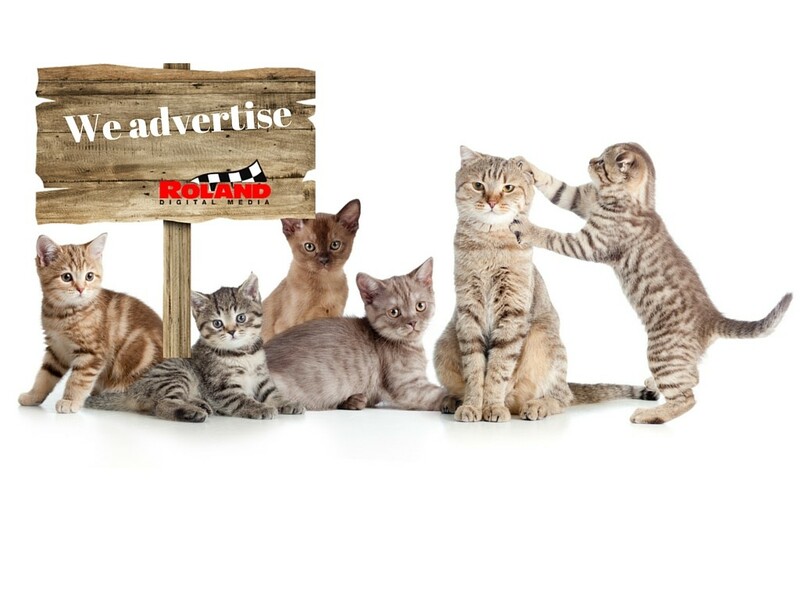 Employees and contractors of MooreEyes Family Vision Center and Roland Digital Media and family of employees and contractors of MooreEyes Family Vision Center and Roland Digital Media may not apply. 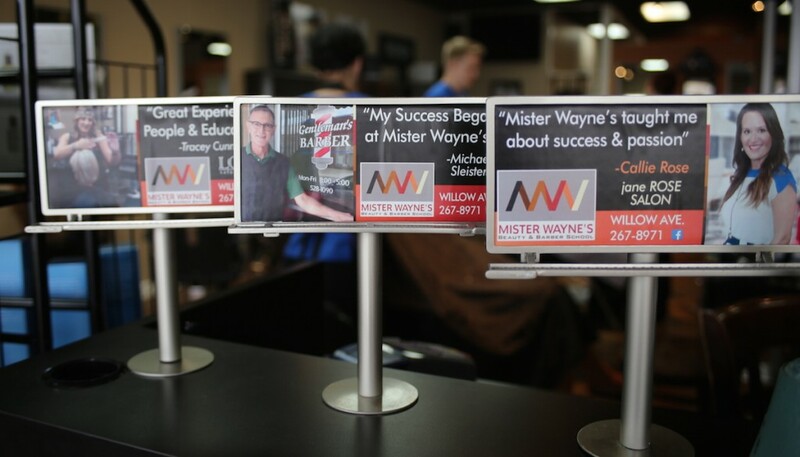 After attending Hassler Barber College in Nashville to be a barber, Mister Wayne came back and decided he wanted to open a school of his own. When he and his wife Melissa got married, they did just that. 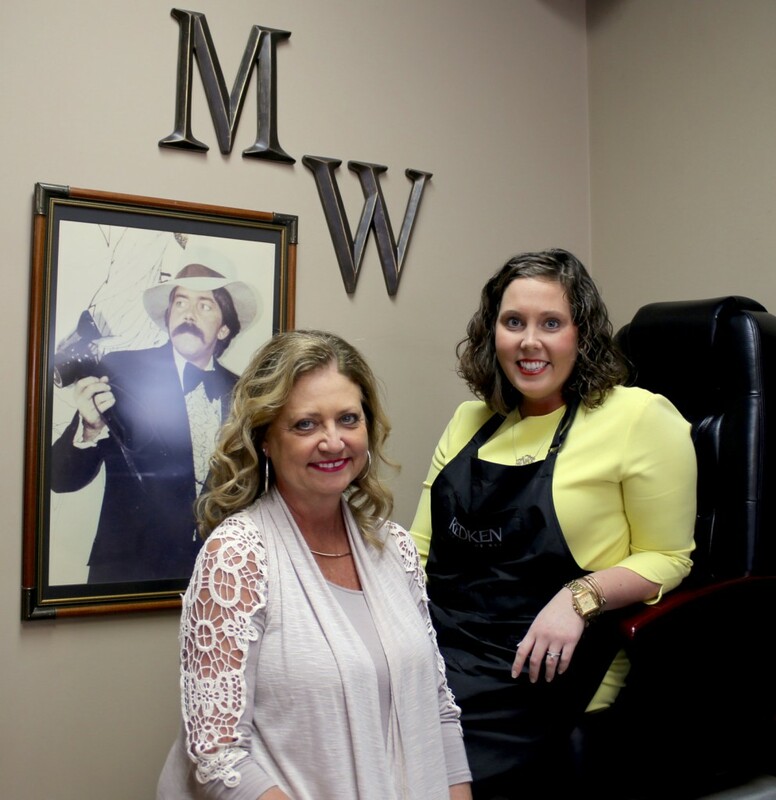 In 1979, Mister Wayne’s Barber and Beauty School was born. 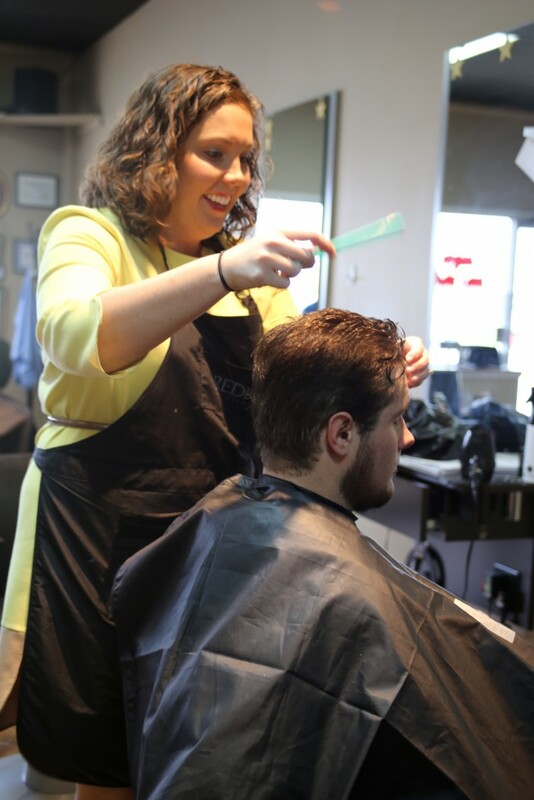 The current Master Barber Stylist program includes 1500 hours of hair care, skin care, and nail care – much of which is hands-on, real-world experience. 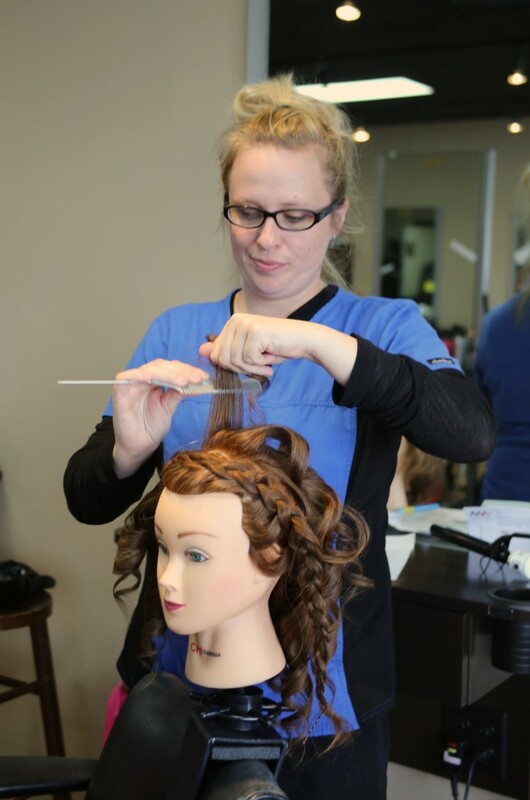 The students are referred to as “future professionals” and after a short training period, begin offering professional salon services at affordable prices to clients. Brittany is the youngest daughter of Mister Wayne and Melissa and will be the one to carry on the family business. Another customer getting a hair cut! What are your values as a business? We have a strong Christian faith and we believe in being honest and working hard. The motto on our student’s t-shirts is – Look the Part, Act the Part, Be the Part, and Perform. 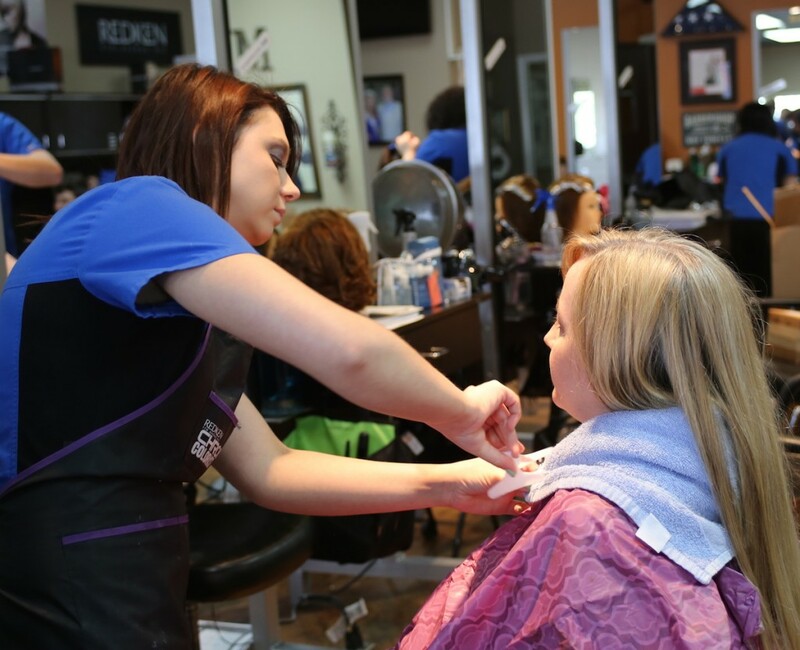 We want students to be prepared for the real world and be able to work at a nice, upscale salon when they graduate. We’re also a small, family-run business. We don’t want that “big corporation” feel. Keeping it personal and including students and clients as part of the family is important to us. Mom and dad built such a great legacy and it’s great to help people with their confidence by doing their hair and making them look great. It’s also a great thing to be able to change student lives by giving them the skills they need to get a good career. It’s the biggest ministry in the world to be able to help your students and your clients. I don’t know how many hundreds of lives my mom and dad have touched and it’s just awesome to be able to carry that on. What’s your favorite part of owning and managing this business? Helping people and giving someone a career and knowing they can take care of their family. Do you get your hair done here? Well, yes! If I didn’t get services done here, how could I expect other people to? What are some of your graduates doing? Well, there is Amanda Richards over at Mint Salon, as well as Tracy Cunningham at Loxx. 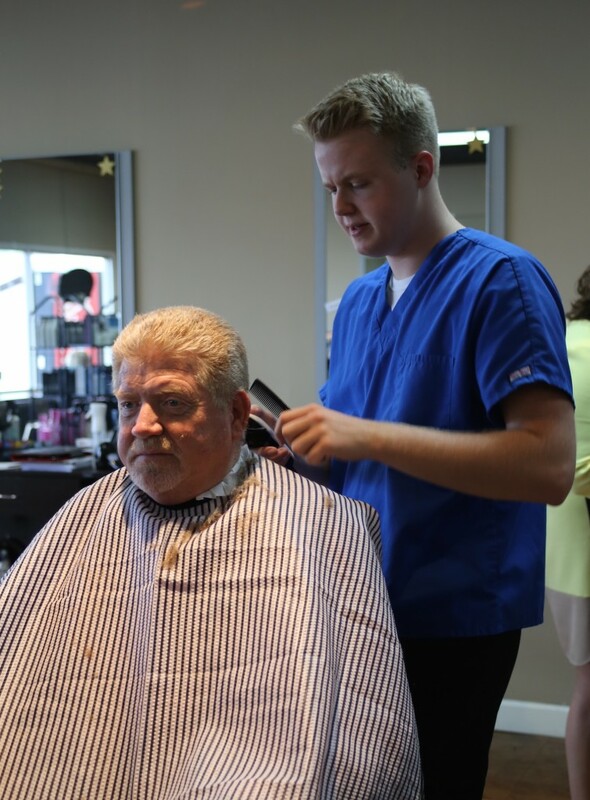 Veterans Barber Shop and The Hair Lounge are both run by our graduates, as is The Gentleman’s Barber and Vicker’s Barber Shop. Callie at Jane Rose was another one, and Changez Salon is run by a former student. There’s Mark Massa who manages The Style Kitchen in downtown Nashville, as well as another graduate that styles for Tim McGraw and Faith Hill on tour. Hmm. Well, we’ve renovated the space. It’s a lot bigger. Mom and dad started with five students and no financial aid and now we have over forty students and a financial aid program. My dad passed away a couple of years ago. We really miss him and we are so blessed to carry on his legacy knowing he is smiling down on us! Any promotions or other information you want to share? We have an affordable prom package – get an updo, gel mani & pedi, eyebrow wax, and makeup for just $65. Also, we’re taking new students – so call and ask about signing up. If you attend full-time you’ll be done in 11 months. Thanks so much for sitting down and sharing your story with us, Brittany! 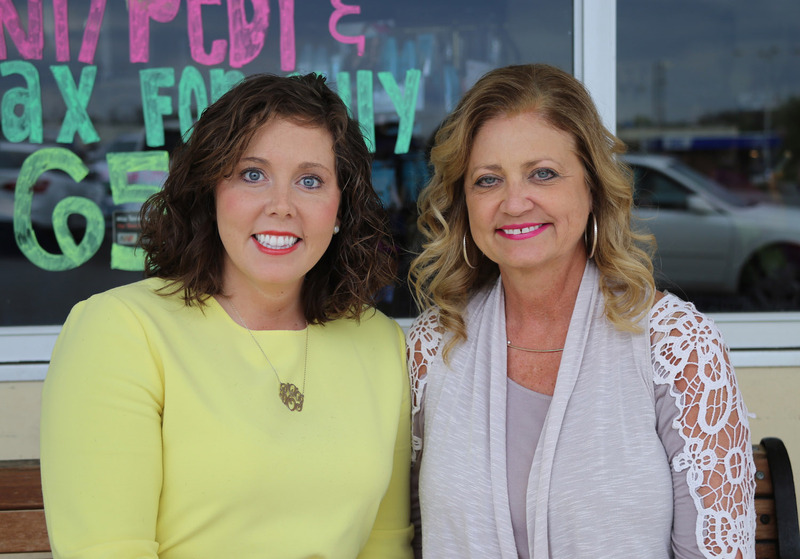 We love to see small, local family business going strong through the generations. 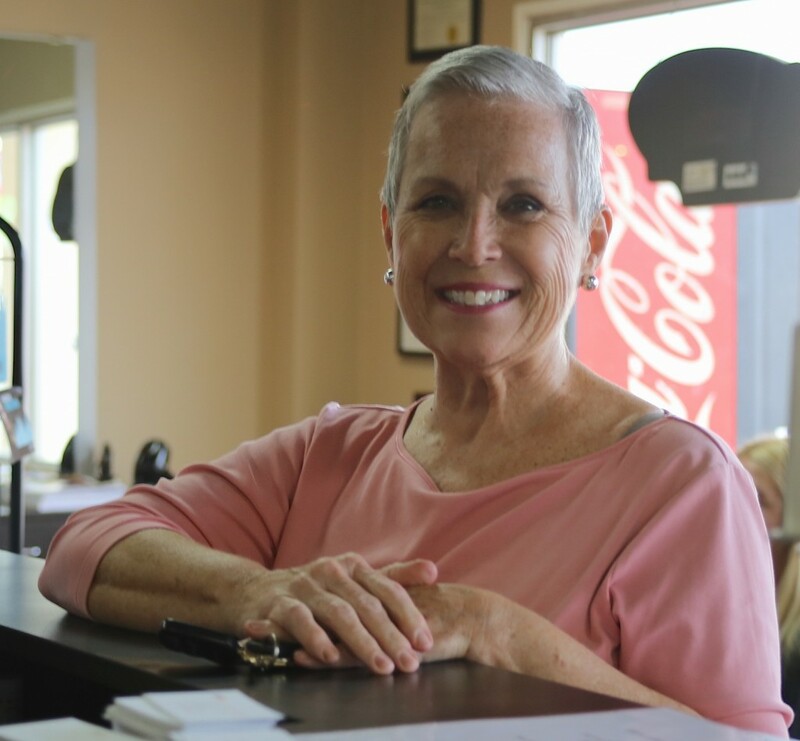 Mister Wayne’s Barber and Beauty School is located at 170 S Willow Ave in Cookeville (next to Panda Garden). You can call them at 931-526-1478 or visit their website for more details. As a reader today, there are TWO chances to win! To enter, simply head over to our Facebook page and look for the Mister Wayne’s post. “Like” the post and in the comments section type either “prom” or “career.” One winner will be chosen for each prize; winners will be announced on Thursday, April 28, 2016. You must be 18 years of age or older to enter. By entering this contest, you completely release Facebook, Roland Digital Media, and Mister Wayne’s Barber and Beauty School from all claims or actions relating to or arising from the same. You also acknowledge that this contest is in no way sponsored, endorsed, administered by or associated with Facebook. Winners are chosen at random and will be contacted via Facebook. If winner(s) cannot be contacted, is ineligible, fails to claim the prize within 5 days from the time award notification was sent, the prize may be forfeited and an alternate winner selected. Employees, students, and contractors of Mister Wayne’s Barber and Beauty School and Roland Digital Media and family of employees, students, and contractors of Mister Wayne’s Barber and Beauty School and Roland Digital Media may not apply. Have you ever met someone for the first time and not made the best first impression? Maybe you thought to yourself: I wish I could go back and try that again. Well, same goes for your company logo. It’s the first thing your potential customers see, and from it they form their own personal opinions and beliefs about your company. So what kind of reaction are they having to your logo? Is it a true reflection of your company and values? Do the colors convey an emotional bond between yourself and them? A graphic representation or symbol of a company name, trademark, abbreviation, etc., often uniquely designed for ready recognition. It should, in one quick glance, represent your companies essence and values. It should look good in black and white, color, as a tiny thumbnail or on a large billboard. Its colors should reflect the mood of your business. Is it calm and comforting or loud and exciting? It should be memorable. This is done by creating an emotional tie to the potential customer. One thing all of the great logos have in common is they were professionally done. That being said, don’t skimp on your logo. It’s the single most important design you will ever create for your company and the building block of all your future marketing. Why not create something great you will be proud to call your own. Something you will be proud to hand to a customer on a business card. Already have a not-so-great logo? What can you do? Don’t worry my fellow entrepreneurs and business people. There is hope. Many businesses and brands re-design their logos to keep them fresh and updated. Even McDonalds and Starbucks recently went through a rebranding. If you would like help creating or re-creating your company logo, get in touch with us through the contact page and we’d be glad to help! All Logos used in this post are copyright of their respective owners. All rights reserved. 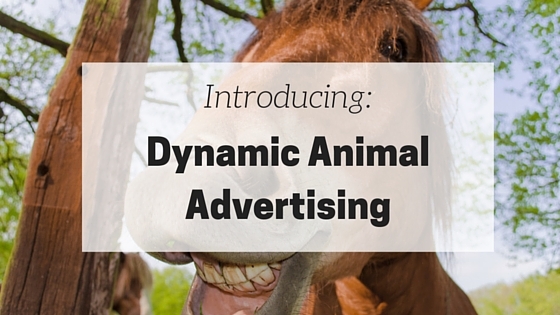 We’re excited to launch our newest product line – Dynamic Animal Advertising! 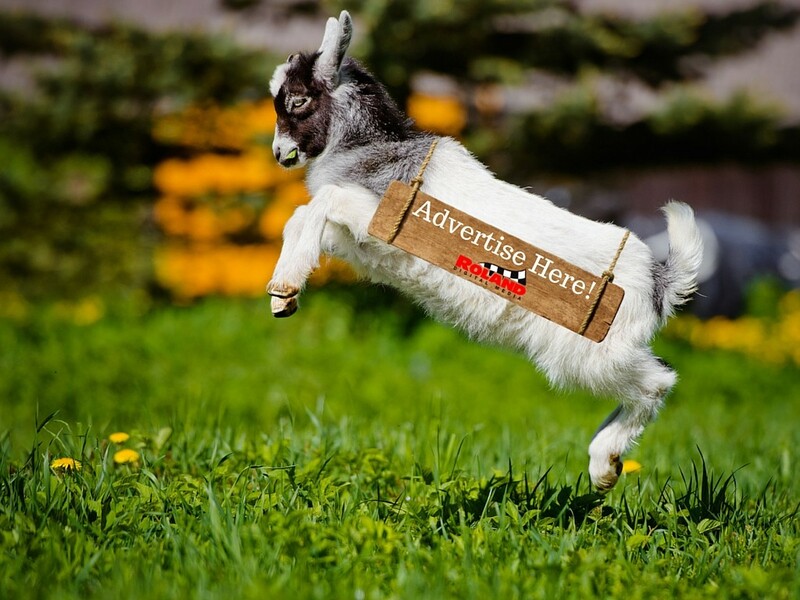 Working with local farmers and animal shelters, we’ve designed a program that utilizes animals with the right demeanor to help advertise local business. 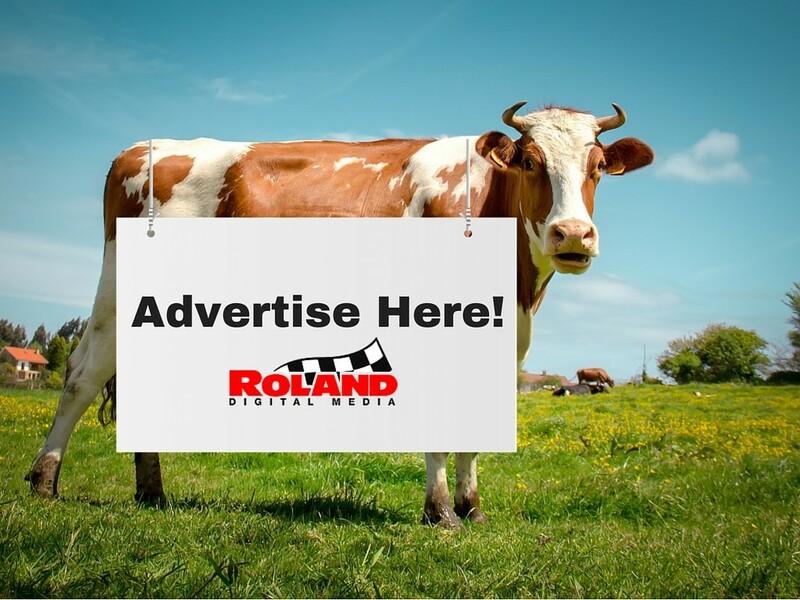 It’s green, it’s organic, and it’s a great way to catch a customer’s attention. 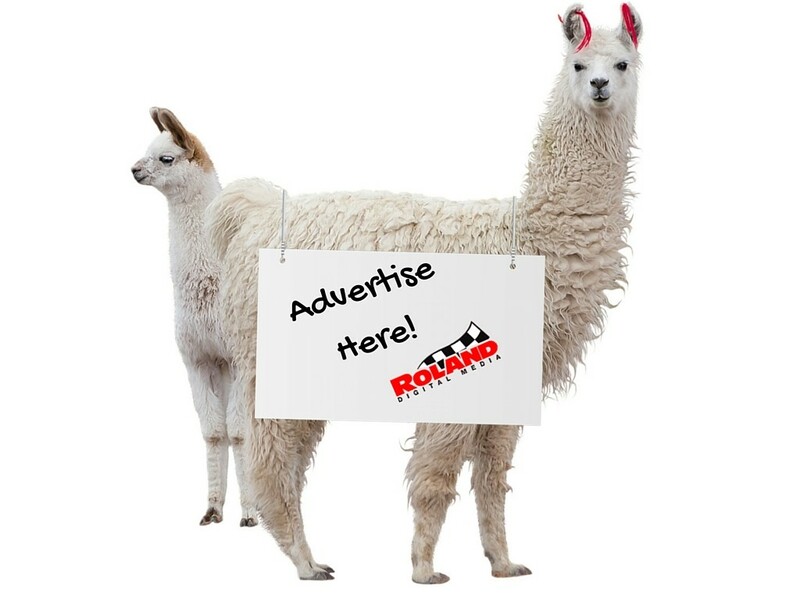 Contact us for pricing and availability – our prices include animal boarding, feed, clean-up, grooming, custom sign design, and a certified handler for certain events. These spots are limited and will go quickly, get in touch soon.